Semco Teak Sealer - Goldtone - gives wood the reddish-brown luster of freshly sanded teak and offers long lasting, natural looking protection which sustains throughout the season. Once your teak has been cleaned and sealed with Semco, it will not have to be cleaned again for many years - just apply regular maintenance coats. In most cases, two coats should be sufficient. If your teak is older or more porous, it may require more coats. Once the first coat is applied, the second coat may immediately follow. Both coats should be applied in the same day. Semco repels water without leaving the surface slippery, is known the world over as the best protection for teak, and is also used on teak furniture. Also available in Natural and Cleartone. Posted on April 3, 2015 by Chris Heaton. The calendar says Spring and so do we! While the weather in New England may not feel like it today, we've already been seeing a dramatic increase in activity from our commercial & trade customers. Our 2015 Boating & Marine Accessory Catalog is now available for viewing on line. Most items are in stock or available at our store the next day. Feel free to call us at 401-847-3933 or e-mail us at info@newportnautical.com with any questions. Also, if you're a trade customer or just planning a major project, then our Master Catalog is available to you. Please inquire for details. 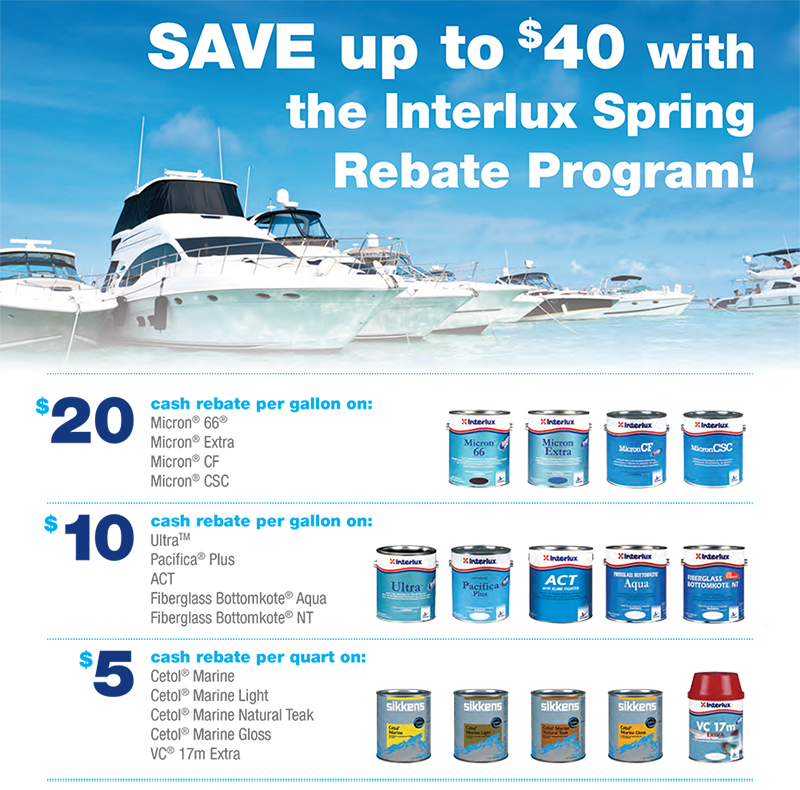 If you're an Interlux paint user, their rebate program is available again this year. We have all the rebate forms in our store to go with the associated products. Posted on March 20, 2015 by Chris Heaton. Family with sick child rescued from disabled sailing vessel in Pacific. SAN DIEGO - An ailing 1-year-old girl was improving Sunday after being rescued from a disabled sailboat hundreds of miles off the Mexican coast. U.S. sailors rescued a family with an ill 1-year-old baby from a sailboat that broke down hundreds of miles off the Mexican coast -- boarding them Sunday onto a San Diego-bound Navy ship so the girl could get medical treatment. Judging by some of the comments, the 'expectation of rescue' question will probably start circulating again in the cruising publications and blogs. Posted on April 7, 2014 by Chris Heaton. As it's a mix of sleet and very cold rain here in Rhode Island, this video will either be torture or inspirational. Either way, escape with them for 5 minutes and it might just lift your spirits. Posted on March 31, 2014 by Chris Heaton. Citizens Bank/ Save The Bay 38th Annual Swim - Registration now open! Registration is now open for the 38th annual Citizens Bank / Save the Bay Swim. The 2014 SAVE THE BAY SWIM is on Saturday , JULY 19! Posted on March 3, 2014 by Chris Heaton. The only one that left us scratching our heads is the fate of the Orca. Perhaps there were more than one vessel used during the filming, but we recall one being left on the beach by Menemsha where it remained for years - being picked a part by enthusiasts seeking a souvenir - until it was finally cut up and removed. Posted on February 25, 2014 by Chris Heaton.